Weathersfield Vermont is located on Vermont Route 106. Three early settlers were jailed for cutting pine trees “preserved for the King’s Royal Navy” for ship masts. Today, the historic Weatherfield Inn entertains guests. 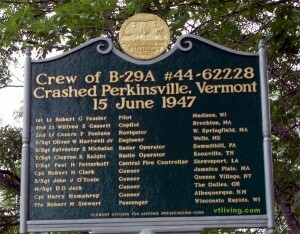 Weathersfield was the sight of an airplane crash that killed all passengers when it crashed into a nearby mountainside. 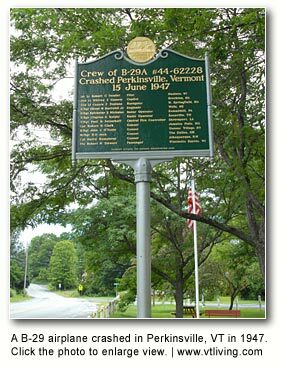 An historic marker commemorates this tragedy and is located on Route 106, near the historic Perkinsville Community Church. 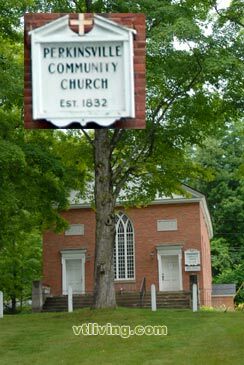 The villages in Weathersfield are, Ascutney, Downers and Perkinsville. 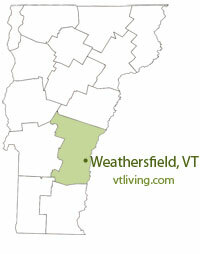 To share Weathersfield, VT information, contact us. Learn more about advertising in VTLiving.